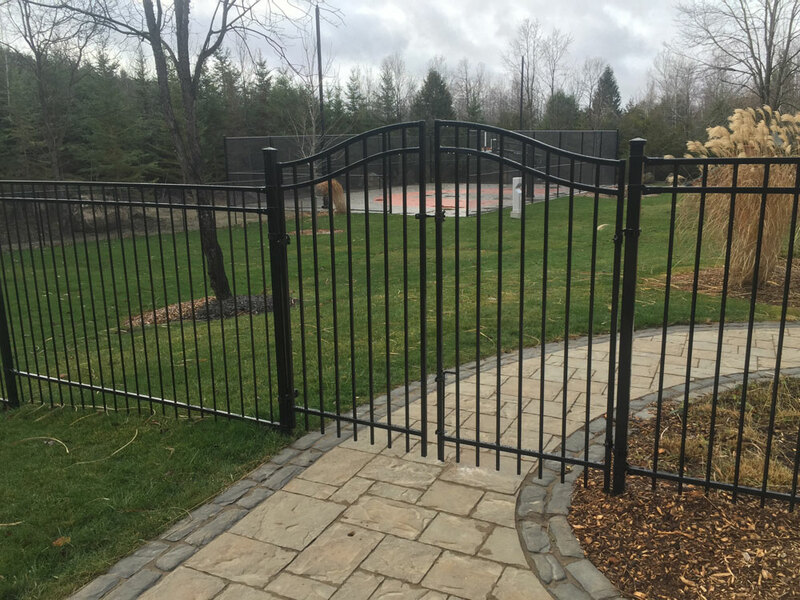 At Premier Fencing, we’re proud to offer our customers superior fences and backyard solutions for the home or place of business. 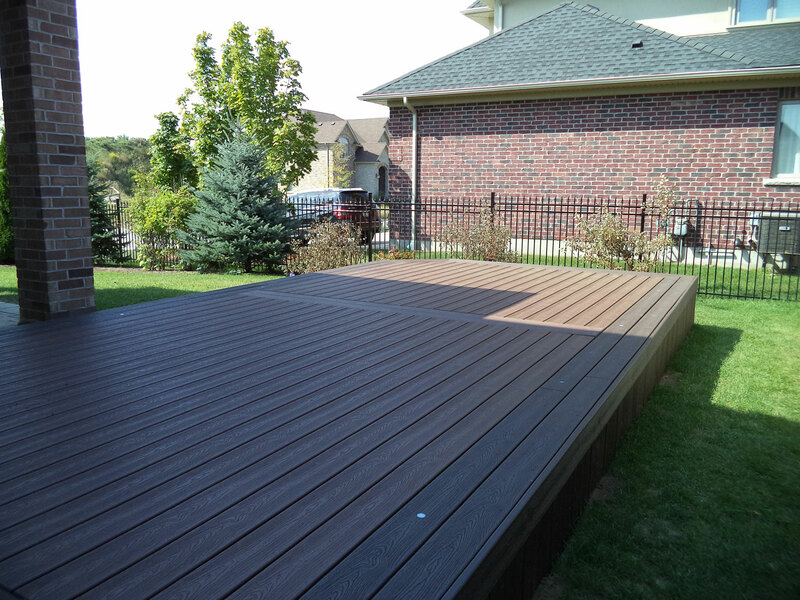 Among our most popular choices with respect to exterior design is the high-performance, low-maintenance composite deck. 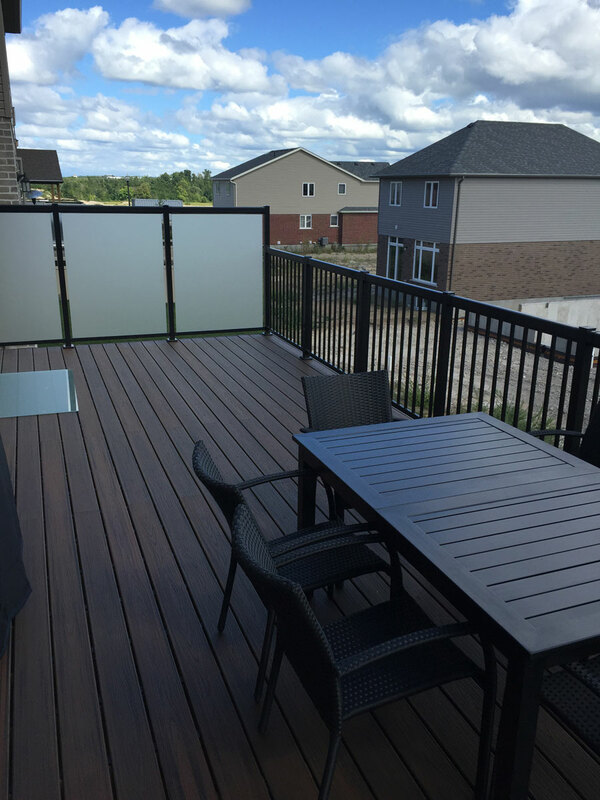 A builder of exceptional strength in project management and materials, Premier Fencing is pleased to provide professional, prompt and affordable composite decking installation services to our valued customers in Kitchener/Waterloo and across southern Ontario. At Premier Fencing, we know that great results start with the right equipment for the job. As an experienced composite deck builder, we’re known for our commitment to quality both in product and construction; therefore, following your professional composite decking installation, you can expect to enjoy your new addition for years to come. Composite decking is a favorite among homeowners and business’s. 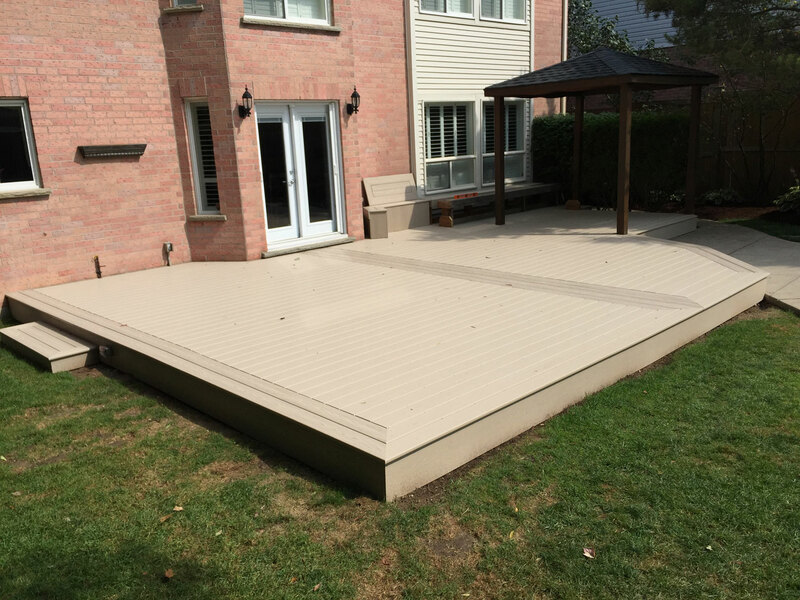 Slightly less costly than vinyl decking while still offering superior protection qualities against rot, mold, mildew and Canadas harshest weather conditions. Composite decking is made up of nearly 95% recycled content making it a green choice among homeowners. Backed by its 25-year warranty against stains, fading, mold and scratching. 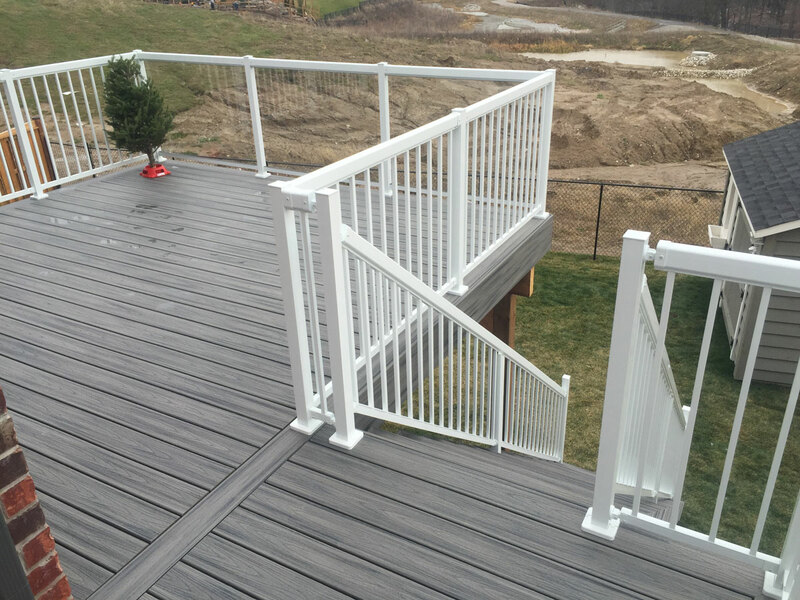 Premier Fencing works directly with composite decking manufactures in order to provide consistent quality and competitive pricing on composite decking installations to its customers. Trex® composite is a favorite among homeowners and comes standard with a hidden clip fastener system for a clean, finished look, and is available in a number of colors and textures. 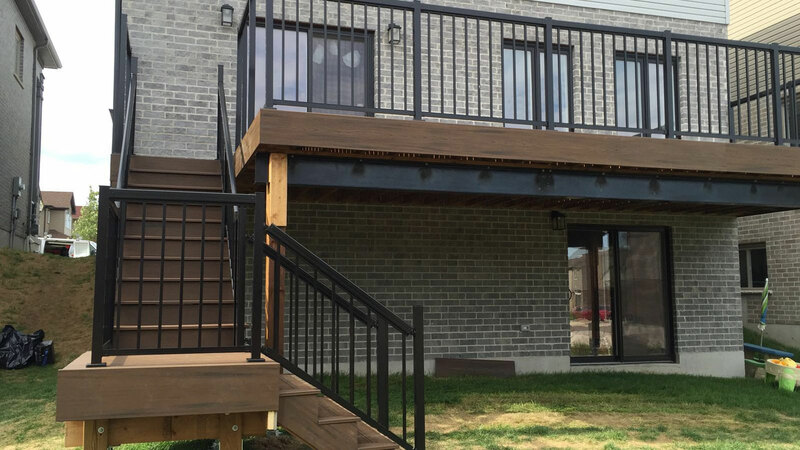 Unlike treated lumber composite decking does not require the need for painting, staining, or seasonal maintenance, the up-front cost of composite deck materials are outweighed by its long-term convenience. 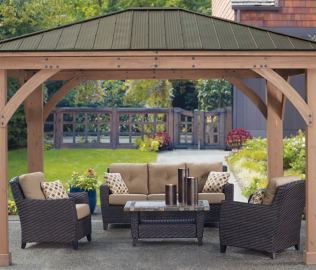 Far more resistant to the elements and to damage and discolouration than natural wood, sturdy yet stylish composite is easy-care and easy on the eyes. We provide a wide variety of natural wood and composite decking installation and design options for the residential or commercial property, ranging in price from approximately $13-$40 per square foot. While both natural wood and composite offer distinct advantages for virtually any backyard, there are a few practical considerations which may influence your choice. For example, while composite may require a more substantial initial investment than traditional wood, the fact that it requires virtually none of the maintenance associated with the latter makes this a popular choice for the busy household or small business. Add long-term value with the one-time cost of composite deck installation, while maximizing the functional square footage of your home or office. Our comprehensive catalogue ensures the availability of great quality merchandise- including the outstanding Trex® family of products covered by a 25-year limited warranty against defect, staining and fading for residential applications, that will exceed your expectations without going over budget. Enhance the form and function of your outdoor living and entertaining space with superior design options from Premier Fencing. We offer an assortment of construction alternatives, including aluminum railing and frameless glass accents, as well as recessed LED accent lighting adding flare and a creating a new nighttime living space for family and friends. We have teamed up with the industry’s leading suppliers, staying up to date with cutting edge products for your next deck project. In addition to our professional fencing and composite decking installation services, we are pleased to provide our customers the option to further customize their project with the beauty and simplicity of Yardistry outdoor pergola systems. Premier Fencing is proud to be an Authorized Yardistry Pro. Browse our Yardsitry page to have a look at our available cedar pergolas, with and without shade, hard and soft roof options, or speak to a Premier Fencing custom fence and deck builder today for further details and inspiration. Based in Waterloo and serving all Southern Ontario, Premier Fencing is proud to be a part of your community. A family tradition for over 90 years, we continue to honour our commitment to customer service excellence, always. Don’t forget about fencing! We’re your chain-link, wood and ornamental iron fence specialists. Ask about our enhanced security features and safety fencing for commercial sport facilities and backyard pools; this is where performance meets peace of mind. Or, add function and flair to any backyard barrier with the look of ornamental iron, manufactured locally in a variety of sizes and styles. 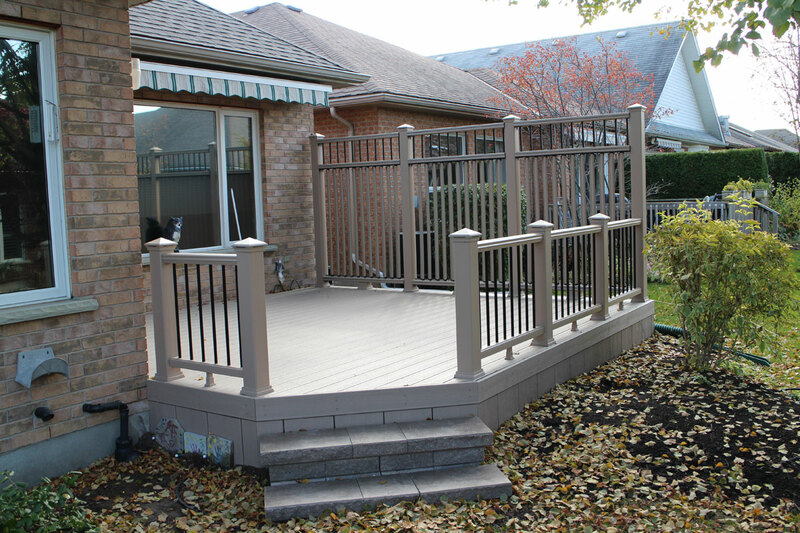 Premier Fencing is pleased to grant our valued customers an exclusive, 2-year warranty on all our products, included with our compliments to the total cost of composite deck or fence materials and installation. As a bonus, many of our materials are covered by generous manufacturer’s warranties of up to 25 years. We deliver service you can trust: Premier Fencing is rated A+ by the Better Business Bureau. When you’re ready to transform your outdoor space, make your next call to Premier Fencing, the composite decking installation experts. We invite you to contact us by email at sales@premierfence.ca, or by phone at 519-500-5545 for your free quote today. Premier Fencing. Committed to Quality. Committed to You.